LOOK WHAT YOU DID IN 2018! Because of YOU, this year alone we have been able to give $120,534 back to world-changing causes! Including providing college scholarships to inner-city youth, building a children’s home in Uganda, supporting pediatric cancer research, providing meals to the local homeless community, and more. 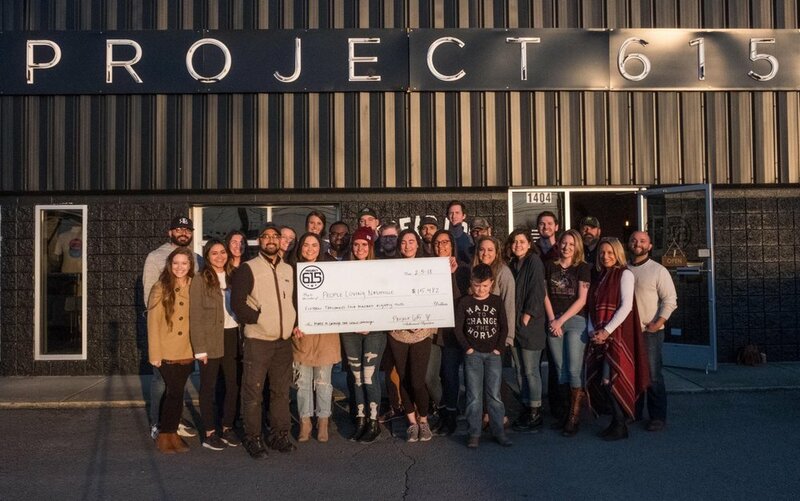 We want to say a huge THANK YOU to all of you who purchased from Project 615. Your purchase is helping change the world. Over $15,000 was raised for People Loving Nashville to provide meals for the homeless community through our Made to Change the World tees. Over $21,000 was raised to go towards Pediatric Cancer research. 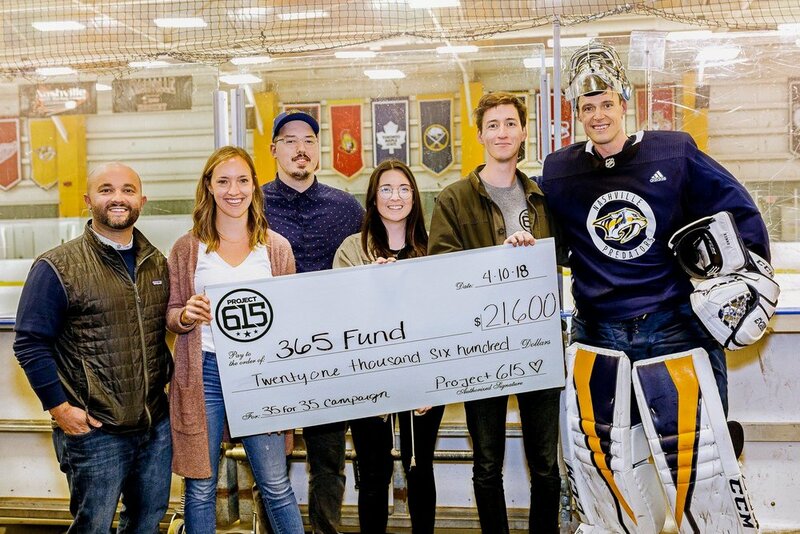 Special thanks to Nashville Preds player, Pekka Rinne, for getting behind this cause with the 365 Fund! After a Nashville tragedy, you all quickly jumped in to help. Over $44,000 was raised for victims and the family of victims who were affected by a local Nashville shooting through our Spread Love campaign. 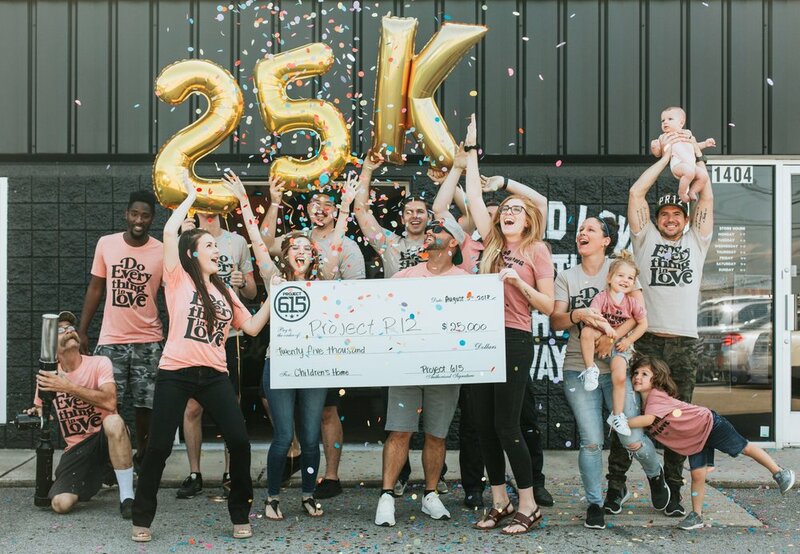 The goal was to raise $25,000 to build a children’s home in Uganda and YOU did it! Within 3 weeks the money was raised, and just weeks later the children’s home was built. A group of children now have a place to call home for the first time in their lives! The Shine Project Scholarship Fund provides scholarships for inner city youth in Nashville who would not be able to attend college otherwise. You all helped support that scholarship fund and raised $5,000!